Thanks for stopping by to find out more about us “Goats”! 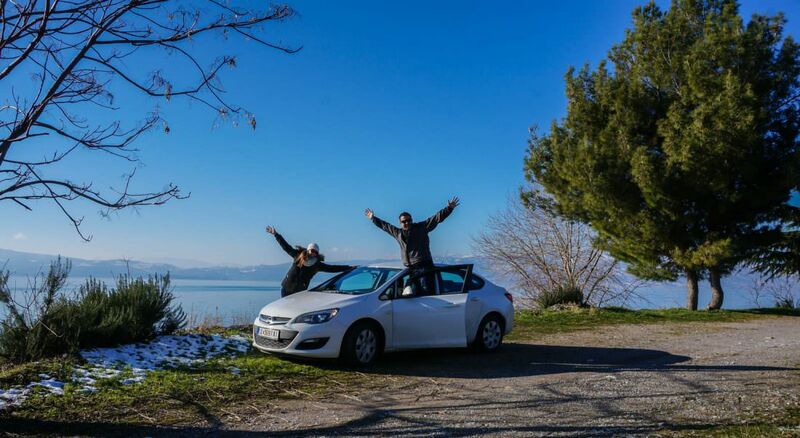 We’re Nick & Dariece, a 30-something couple from Canada who have been travelling for 8 years. We’re also the adventure-loving, wine-drinking, culture-seeking videographers, photographers and writers who founded this travel blog. We weren’t satisfied with the routine of waking up, going to work, coming home, eating dinner, watching TV, going to bed…and repeating. We felt bored with our lives in Canada and were tired of not having enough time to spend with one another. We were tired of being tired. So, we booked a typical 1 week, all-inclusive vacation in Mexico together. A vacation that gave us the travel bug. 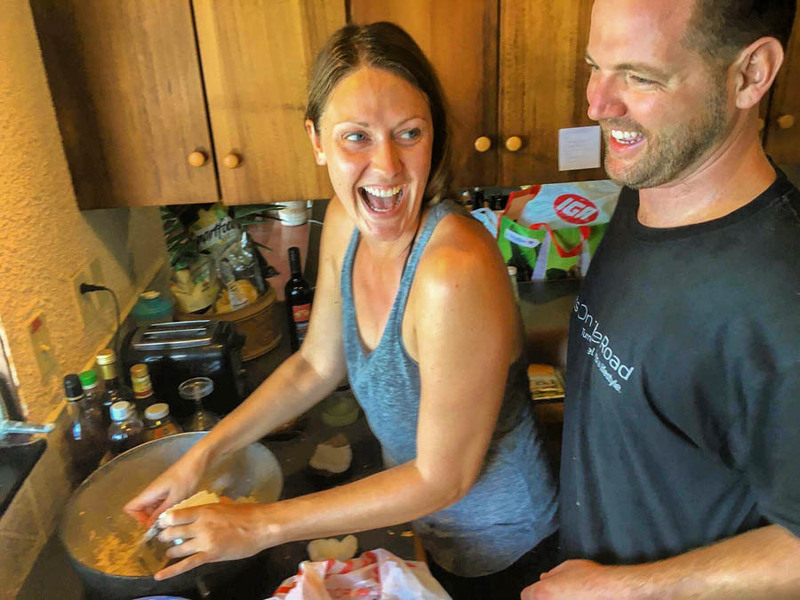 About a month later, Nick came home from a brutal day of work and said: “If you could travel anywhere for a year, where would it be?” Dariece’s immediate reply was: “Southeast Asia”! Fast forward 8 months and we had sold our home, our car, most of our possessions and booked a flight from Vancouver to Bangkok. Our travel dreams were about to come true. We backpacked through SE Asia and the Subcontinent for 13 months. A trip that truly changed our lives forever. We met new friends, learned about new cultures, tasted new foods and experienced things that we never thought possible. From that point on we looked at our lives in a totally new light. After that 13 month trip, our bank accounts were dwindling and we needed to return back to Canada to make some more cash. We were very fortunate to get our exact same jobs back after being away for so long! But upon returning home, we felt like strangers in our home country, and struggled to fit in. Events and conversations that we used to enjoy and that we used to think were important, now seemed irrelevant to our perspective on life. The trip had changed us and we knew that we needed to save as much money as we could to set off on another longterm adventure. After being back in Canada for just 13 months, we had saved enough money to set off on an even longer trip than the first one. This time we visited Europe, Africa, The Middle East, Southern Asia and Northern Asia. It was somewhere around our 15th month on the road, in the Philippines, when Dariece had a total meltdown. She was thinking about the prospect of returning home in just over a month when the funds would run out. We needed to figure out a way to earn money on the road – going back to regular jobs in Canada simply wasn’t an option. Fast forward to today and this travel blog (and the jobs that stem from it) earns us six figures each year. 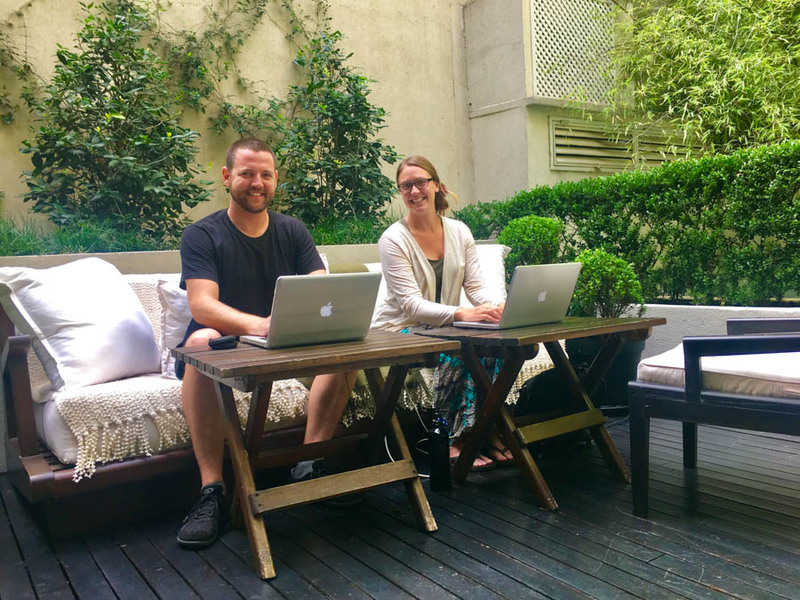 Starting a travel blog was definitely the best thing we ever did, which is why we aim to inspire and help others (you!) to start one too. In fact, if you start a blog using the link in this post, we will send you our pro blogging eBook for free. While travelling, we met many people who had taught English abroad as a way to make money and stay on the road. After we volunteered teaching in a village in Myanmar for a week, we started to think that we would be great English teachers. While we were travelling around China, Nick sent off our resumes to some schools he found online, and from adverts we saw in hostels. The response we received was overwhelming! We couldn’t believe that so many schools wanted us, especially because we had no formal training or experience. Within 2 weeks, we had secured ourselves a job at Shane English School in Yangzhou, China. We taught at that school for a year and had one of the best years of our lives! We made numerous foreign and local friends, learned about Chinese culture, tried some seriously strange foods, and best of all, we loved our little students. During that year, because we only worked 20 hours a week teaching, we had plenty of time to get GoatsOnTheRoad up and running. The year was spent teaching English for part of the day, and working on our website for the other part of the day. 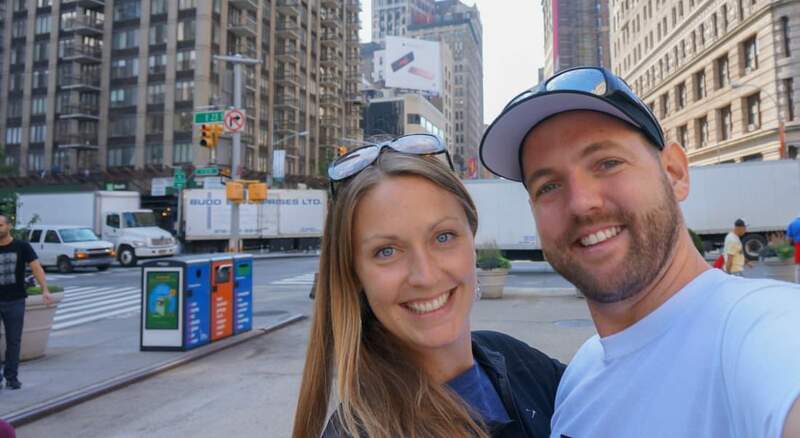 After one year of teaching, we had saved enough money to travel for around 5 months. When we were living in China, we looked at a map and figured that the next logical trip would be to head north through Mongolia and Russia, before veering into Kazakhstan, Kyrgyzstan, Tajikistan, Uzbekistan, Turkmenistan and Iran. We ticked off an item on our travel wish list – the Trans Mongolian / Trans Siberian Railway! This whole trip was quite the adventure, filled with camping, trekking and fishing. This is one of the least touristy regions of the world and we loved every minute of it. 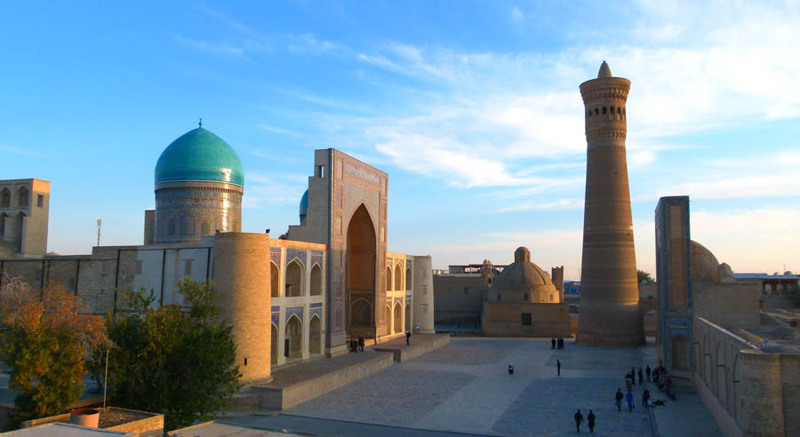 When we were in Uzbekistan, we decided to create a profile for ourselves on the website Trustedhousesitters.com. We were trying to find ways to supplement the income earned from our website (which at the time, wasn’t all that much), and house sitting seemed like a great way to do just that! Within a month of putting up our profile, we had received a message from a homeowner in the Caribbean. She wanted us to come and take care of her divine dog named Spare. The job was for 7 months, with 1 month off in the middle. It was perfect, and we said “Yes” right away. During those years, we spent half of the year house sitting, and spent the other half travelling. We visited Mexico, Guatemala, Cuba, Costa Rica, Saint Vincent & The Grenadines, Barbados, Puerto Rico, New York, Macedonia, Bulgaria, Albania, Bosnia & Herzegovina, Montenegro, Croatia, Italy, Malta, Prague, Berlin and Istanbul. We decided that 2017 would be our year. Although we love pet-sitting, we wanted the year to be as spontaneous as possible. We were ready to travel when we wanted to, for as long as we wanted to – without any future commitments. Plus, we wanted to be free to go on any press trips should they arise. We’re really glad we made that decision as we ended up forming some great partnerships with tourism boards in Greece, Argentina, Indonesia and Kyrgyzstan. Had we been “tied down” with pet-sitting jobs, we wouldn’t have been able to partake in those incredible marketing campaigns. 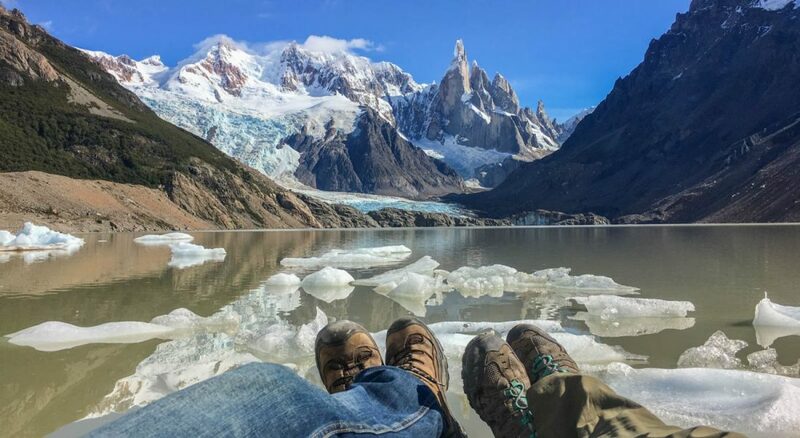 2017 brought us to South America for the first time and we loved backpacking around Colombia, road-tripping through Argentina, chilling out in Uruguay and trekking in Chile. We flew business class for the first time to attend blogging conference in Istanbul – what an experience that was! The conference was followed up by a road trip through the UK with family, our 10 year anniversary celebrated in Greece, plotting new trekking routes in Kyrgyzstan, scuba diving & living in Indonesia, and travelling around Japan for Nick’s 33rd birthday. Finally, we rounded off the roller coaster year in Manzanillo, Mexico with almost every member of our immediate families coming down for a visit. Since starting out in 2008, we’ve travelled to more than 60 wonderful countries around the world. Our passion for culture and adventure has driven us to find numerous ways to make money on the road so that we can continue this life of full-time exploration. We’ve chosen this freedom-filled, unconventional way of life and we feel that we are completely stress-free, happy and alive. We don’t worry about nine-to-fives, bosses, planning for retirement, mortgages and most importantly… we have no debt. We love this new lifestyle so much that we started this blog so that we can share it with others. That is why we put ALL of our best money-making tips, travel hacks and inspiration on this blog to show you that this kind of life is possible. We don’t regret our decision to sell-up at home and live this nomadic lifestyle. Travel made us realize the futility of material possessions now that we’re living out of our backpacks. We’re happier than ever! Everything we own fits into a total of 110L of space. We’ve gained a new outlook on the world and on life itself. Experiences are what bring happiness, not material things. 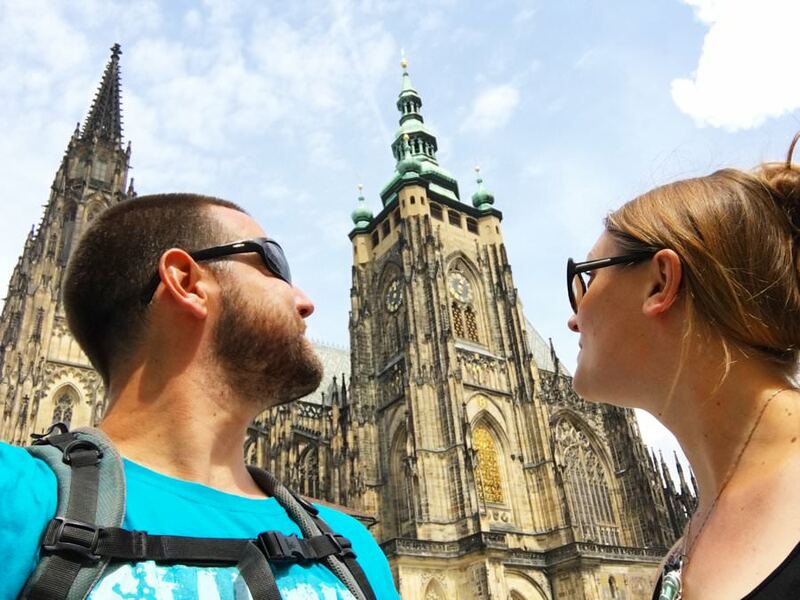 We will continue with our digital nomad lifestyle for as long as it brings us joy. Right now, at this moment in our lives, we’re 100% content. We’re happy to be able to work on our laptops from anywhere in the world, provided there’s a decent wifi connection. We are the architects of our own reality and we are here to inspire you to create a happier life for yourself. Happiness comes in many forms, but for us, we find joy through travelling and eye-opening experiences. On this website we share our financial tips, earning methods and travel stories with you, in the hopes that we can inspire you to live a freer life. 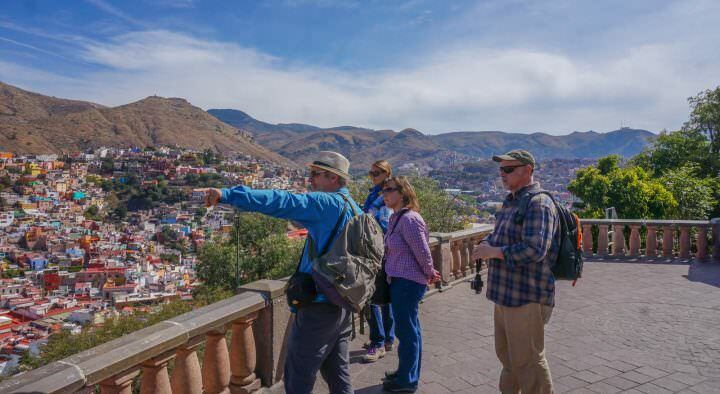 We want to show you how to turn your travels into a lifestyle! If you have any questions at all, please feel free to contact us. We answer every single email. Also, make sure to follow our journey on our social media channels: Facebook, Twitter, Instagram and YouTube. Q: Why are you called “Goats On The Road”? 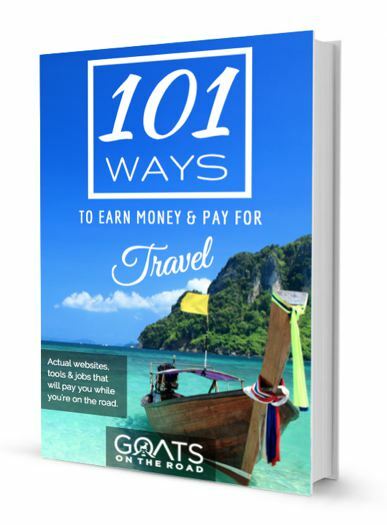 A: Because no matter where we travel in the world, there seems to be goats roaming the roads! Since the two of us are also on the road, we have since decided to call each other “Goat”…therefore, we are Goats On The Road. Q: How can you afford to travel for so long?! A: For our first year-long trip in 2008, we sold our house and saved a lot of money from working at our jobs. For our second trip we put ourselves on a strict budget and saved up money from working for a year in Canada. We were able to travel for 16 months on those savings. After that, we decided to teach english in China for a year. We saved $21,000 in a year living in China and that supported our journey through Mongolia, Russia, Central Asia and Iran. 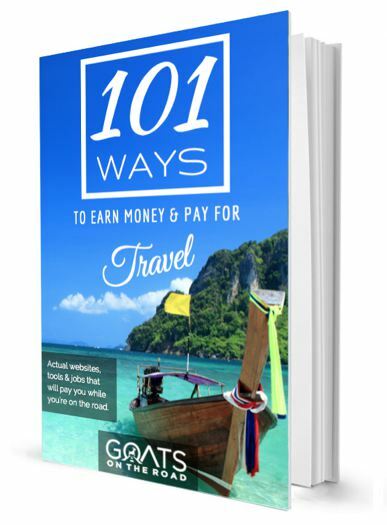 In 2014, a combination of free accommodation from house-sitting and the earnings made from Goats On The Road allowed us to travel and live abroad. Q: How do you pronounce Dariece? A: Der – iece. Like “piece” or “niece”. Q: Do you ever get bored with travelling the world? A: Absolutely not! There are times when we feel a bit exhausted or overwhelmed from trying to juggle travelling and blogging and need some down time…but no, we’re always excited to see and do new things each and every day. That’s the best part about travelling, there’s always something new around each corner. A: We’ve probably taken every mode of transportation possible! Our favourite way to get around is by train or by having our own wheels – this is the best way to see the country and to meet people along the way. We often fly and take the bus as well. Q: What is your favourite country so far? A: We don’t have a clear answer for that one. Each country is beautiful in its own way and has something to offer. However, the ones that stand out in our minds the most are: Thailand, India, Indonesia, Egypt, Mozambique, Turkey, China, Mongolia, Mexico, Italy, Cuba, and Iran. Q: What are the weirdest things you’ve eaten on your travels? A: Scorpion, maggot, toad, horse meat, duck’s blood, cow stomach and ox tongue. A: We typically go for a hotel/guesthouse/hostel/hut or some sort of accommodation that is unique, and if possible, eco-friendly and locally owned. We’ve also slept on plenty of planes, trains, cars and buses. We’ve had to embrace the dorm room a few times when there were no other options, but when we’re in hostels, we always go for private rooms. Q: Have you ever been worried about your safety? A: A few times. In Kenya we were held at knife point by a crazy, homeless man. Also in Kenya we were in an archipelago where Somali Pirates were kidnapping westerners. Two other times Nick almost drowned – he fell down a waterfall in Laos and he was sucked out to sea by a rip-tide in Sri Lanka. We were also (possibly) stalked by a tiger while hiking though Periyar Tiger Reserve in India. Q: Have you ever had anything stolen or been robbed? A: Unfortunately, yes. We had $1,500 stolen from us during our adventures on the Pamir Highway in Tajikistan. We’ve also had a pair of sandals, an iPod Touch and a dive mask stolen. Luckily, none of those things were forcefully taken from us. Q: How long will you keep travelling? A: We plan to continue to travel and live abroad for as long as we enjoy it. We know that we’ll never return to a normal lifestyle back home, that’s for sure. Q: Are you going to get married and have kids? A: You can read all about that in our post – Are we going to have a baby? This is what i’ve been looking for my whole life!!! I didnt think people actually did it….You guys are an inspiration to me…By the time i’m 40 (18 months to go) I will living this life….I came about this site by accident! Love it……..keep on the road!! I have no idea how I’m not seeing this comment until now! I’m so sorry. I hope that you have found your desired lifestyle 🙂 Happy trails to you! I think you guys are amazing!! Good for you. This is coming from someone old enough to be your grandparent! 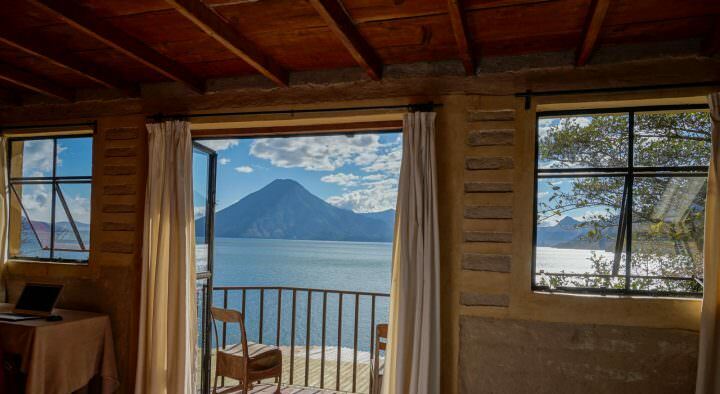 Thanks for the tips on Lake Atitlan, we will be there next week. Thanks for the comment 🙂 We had so much fun kayaking with James off of Gozo! It was a beautiful day and we really loved meeting him. Hopefully retirement will come sooner rather than later for you 😉 Thanks for joining the blog, we really appreciate it! haha…everything is legal… Have a good time in People’s Republic of China. We have been enjoying China Standy. It’s a great place to live because the people here are so friendly! Thanks Toni! We really Appreciate the words of encouragement! You two sound like a couple I want to meet! I found your blog via your Photo of the Moment on Vagabondish, and I’m happy I did. Looking forward to the adventure. Thanks Jessica. Vagabondish is a great site as well. 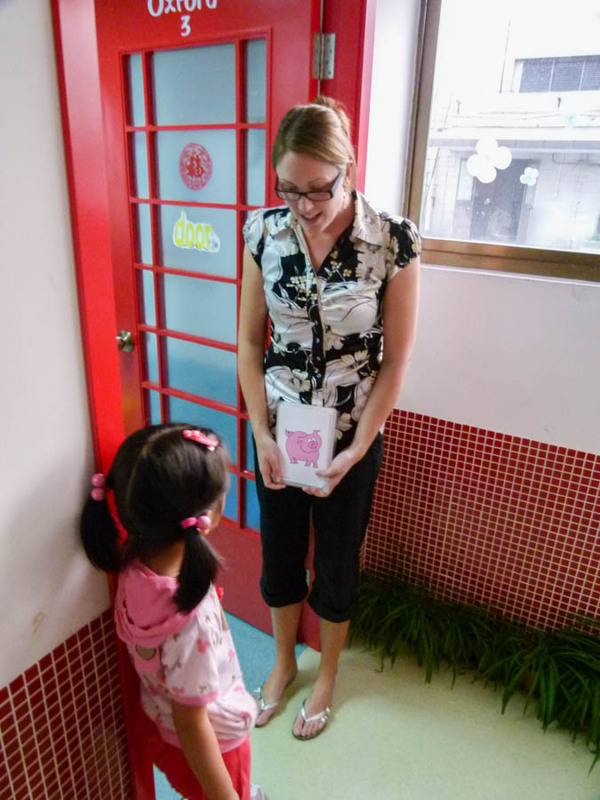 We are currently in Yangzhou teaching English! Are you living in China or travelling? Wow Manuela, we really appreciate the kind words! We aim to be an inspiration for others, so we’re glad you think we are 🙂 Where in India are you living? We are definitely planning to go to South America and Central America…soon! Colombia is high on the list. Thanks for the offer. Just found you guys! Love your site! Lots of great tips and posts here! We leave for our RTW in 96 days! We too are selling our house and quitting our good corporate jobs Were you teachers before? I am a tax auditor and Adam is an Engineer and we hope to travel for 2-3 years and then find jobs abroad (probably Asia). Thanks for any tips! Hi Hannah, Thanks for the comment! Glad you’re enjoying our site, I took a look at your recent post and it sounds like you have a great trip planned. We weren’t teachers before. Dariece was a paralegal and I ran a printing press. It’s great that you guys are packing up and leaving it all behind! Great choice! 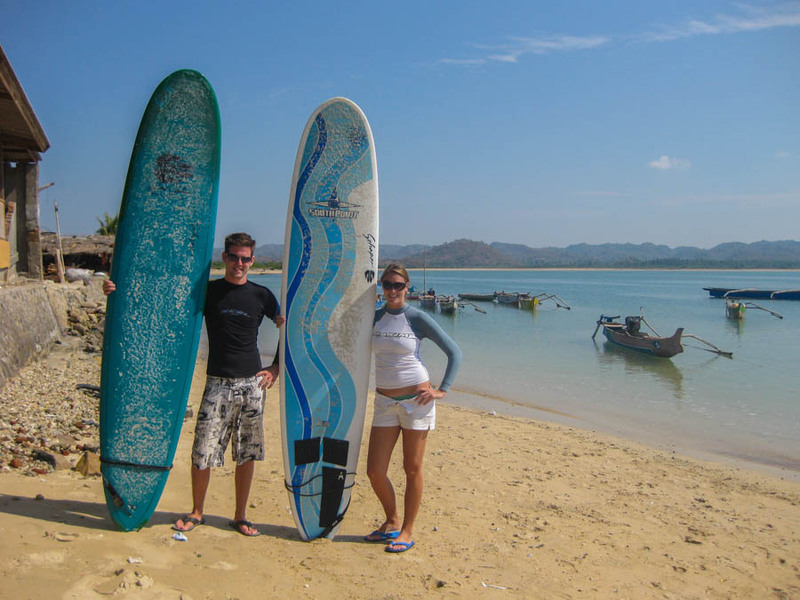 We’ve never looked back and teaching in Asia is fun, rewarding and very easy to get jobs! Enjoy you’re trip and keep us updated! Awesome site and love your blog’s name! It’s a testament to the places you’ve been if there are commonly goats on the road. That’s my kind of traveling! I noticed that you’ve spent a great deal of time in Africa and that’s a big stop on my list this year. Do you have any recommendations for elephant or animal refuges? I’ve heard there are some in Kenya, but any other thoughts or ideas? What was your favorite part of traveling in Africa? Any must-see places you recommend? haha, ya, Goats On The Road definitely seemed like a fitting name for us! You’re right, we were in Africa for 5 or 6 months and loved it there – there were many ups and downs though, but the ups far outweighed the downs! We didn’t go to any animal refuges while we were there, but we did see many animals in the wild while on safaris! Hmmm, favourite part of Africa was the feeling that we were somewhere “out there”, you know? It’s a raw, wild continent and we felt that while we were there. The wildlife, the scenery, the landscapes and the memories are the best part. Mozambique and South Africa were our favourites, but the safari in the Masai Mara in Kenya and making it to Lamu Island there was also a highlight. South Africa (all of it), Mozambique – especially the Quirimbas Archipelago in the north, Zanzibar in Tanzania, doing a safari are all recommendations! Downsides were finding it hard to connect with some of the local people (feeling of racism towards us in a way) and the food in parts…oh, and looooong travel days on very uncomfortable modes of transport! But it’s all part of the journey. I just came back from a week in cambodia and am going to Myanmar in July and came across your post! it’s inspired me all over again! I’m looking forward to an adventure in myanmar! Keep up the travelling and all my best wishes to you! Thanks so much! Enjoy your trip to Myanmar, it’s an amazing country 🙂 Cheers and safe travels. i am so jealous of you two :p my name is janice just turn 20 last may,im from philippines and i really want to travel a lot , so far i manage to visit 4 provinces. and still planning to continue visiting more local provinces and hopefully travel abroad someday. you are such an inspiration to me! take care Mr. Nick and Ms. Dariece. Travelling alone may seem like a scary thing, but the travel community is an awesome one! You are never alone in a hostel/guest house/restaurant or bar. People will always come and chat to solo travellers, or, even end up travelling together. I love that I came across your website! My husband and I took a 14mth backpacking RTW in 2007-2008 and within days of our return knew we needed to go again…and for good this time. We are currently in the final stages of re-paying off debt, selling our latest house, etc and plan to be gone in late 2014 or early 2015 to drive the PanAm to South america, this time, and with our two dogs! It should prove to be a whole new adventure. Can’t wait to read more of your website. Thanks for the great comment Rhonda! We definitely know that feeling of coming home from a trip and immediately wanting to go back. It takes a lot of courage to sell everything and set off on a journey like you 2 (4!) are doing. Good for you! We would love to do the trip you have planned. I like to do that way and you guys are very inspiring for me but I am not sure how we can live our lives to make that dream comes true..
We just got a house recently and I am working as bio-chemist at medical field but it has never been what I want to do for the rest of my life.. I like to live simply and like the way you live and seeing all over the world but I don’t know how should I start.. How much budget to do that and how long do u need to save again after money is running out ? Could u please give me any tip ? We are firm believers in following your dreams. Travelling isn’t for everyone, but if it is something that you are passionate about and aren’t happy with what you’re currently doing, then maybe it’s time for a change! We saved money, sold our house and car and made a plan for our trip. You also need to decide where you would like to go in the world and how much the budget will be per day. I hope this helps you out! Let us know if you have any other questions. Wow Nick and DARIECE you inspire so many. Strangers from afar and loved ones here at home. Seems wherever you go, whoever you meet you touch peoples hearts. We are all better off knowing the two of you. Pure joy! You not only inspire us to travel, to take a risk but to be better people. We’re enjoying life, each day brings something new and exciting 🙂 It’s important to live the lifestyle of your dreams, whatever that may entail. Glad I found your site (via Twitter). You two are an inspiration. I travel once a year, at the same time and it’s always the best month. As soon as I’m on the plane home, I’m thinking about where to go next! I often fantasise about selling up to travel the world, and until, and if I ever take that leap, I can always travel virtually with the likes of you guys and other travel bloggers that have done the same. Thanks for sharing your epic adventures. Well kudos! That’s some really adventurous travelling you’re doing. I see that you visited many countries along the south-eastern coast of Africa, but skipped Madagascar! Why? I really want to go there one day. It looks like you’ll have done “all” of Asia soon, but haven’t yet touched Central and South America, or even done much of Europe. Lots to look forward to. I haven’t been so methodical. LOL! Happy Canadian Thanksgiving Goats! Hi Maria! We would love to see Madagascar but at the time, it wasn’t in our budget. There are a few more countries we’re interested in seeing in Africa, so I’m sure we’ll get there one day! As for Central and South America….they’re next 🙂 Stay tuned. Hello Nick & Dariece! I have enjoyed reading your site as a resource for our upcoming travel plans as well as for fun! It is comforting knowing there are other like-minded people out there who make our dreams a reality. After some slightly unexpected life events happened earlier this year, my boyfriend and I made the decision to set out to do the same thing – indefinitely. We cannot wait to see what our future has in store for us and look forward to bumping into you guys and other fellow bloggers on the road! Love your site. Husband and I are off to Myanmar next week so appreciated your comments. Noticed that you haven’t been ‘down under’ to Australia yet. We would welcome you should you decide to drop by. Cheers Heather & Col.
Wow! This is such an inspiring article. I’m starting my own blog now while studying abroad, but I hope to teach English abroad as soon as I graduate! You’ve done so many amazing things. I’m subscribing to this blog stat. Thanks for the read! Thanks Melissa! Glad to have you on board. Good luck with the blog. That’s great that you’re working and saving for an adventure! Good for you. You’ll have a great time in Morocco, I”m sure. Any other countries you plan on travelling to? I just found your guys’ page after getting a follow from your twitter account! (At least I think it is, and not spam). But regardless, I stumbled upon this and couldn’t believe to find a couple living my dream. You guys are my inspiration. I am currently a 21 year old saving up money, but I plan to follow in similar footsteps in the years to come. I wish you well on your travels. The sights you describe and things that you have seen make me envious. I cannot wait to explore the beauties of this world. Safe travels! Thank you very much for your kind words 🙂 If you have a dream to travel, then I’m sure you’ll be able to save up the money sooner rather than later. All the best to you on your future travels. Let us know if you have any questions. I absolutely love your name!!! I can’t say that I see that many goats roaming around here in Honduras from what I see, but we have a lot of cows that do that! Your story is very interesting and inspiring. Thank you for sharing your lives! What?! No goats in Honduras, I don’t believe it 🙂 We’ll have to see for ourselves when we’re there next year. Thanks for the kind words Rikaine, All the best! I’m very interested in your life. it is a life that I always wish to live with. and I think that it will become trust in one day. Wow good for you for selling everything and travelling! Very inspirational 🙂 You’re never too old to travel, that’s for sure. Or, you can also have a look at your guidebook and call different hotels/guesthouses. Israel and Greece are more expensive than Thailand, Egypt and India. It’s most definitely possible to teach Yoga while on teh road. It’s a great way to make money. Thailand and India are popular places for Yoga. Don’t worry, once you’re on the road, everything will come naturally and you will slowly figure things out yourself. You’re never alone when travelling, you’ll always meet fellow travel companions and people who you can ask for advice and travel tips. Hope you are doing great. I was reading your blog and really got inspired by the fact that you guys quit your job and started traveling across the globe. 2. Most memorable place they have traveled ever? 3. What is so special about traveling? 4. Tip for fellow travelers? 5. occupation of Nick and Dariece? Looking forward to receive your answers. There are so many Canadian travel bloggers! I love it. I feel like every second blog I stumble across is written by Canadians. It makes me feel cultured, haha. Was Rinca Island worth it? We are going to Bali after a trek in Nepal in the fall, and were thinking about going to Rinca to see the Komodos. I’m torn, though. After a trek we might just want to hang out on the beach..
We loved Rinca, but we were also in Indonesia for 2 months, so we had lots of time to get there. If you’re just going to Bali and don’t have much time (?) I would suggest flying to Flores instead of taking boats, etc. Seeing the Komodo Dragons was an amazing experience, but I know what you mean, you may want to just lay on a beach and be lazy after the trek. Which trek are you doing in Nepal? what a great story. You’ve been through quite few adventures. I hope to bump into you somewhere in a faraway land soon! Hopefully we can meet up somewhere 🙂 We love meeting up with readers and fellow bloggers! Yes, we are the architects of our own reality and are encouraging others to be as well! Hi! Today I’m leaving my comfortable mexican home to live for two months in Alexandria, Egypt. I’m very excited, and your blog has given good ideas (since I will be living with a $25 per day budget). It is great that you have the opportunity to travel so much, maybe I’ll give it a try after I finish college. That’s exciting that you’ll be living in Egypt! We love it there. Turkey is a great place to travel to. We didn’t do the balloon ride in Cappadocia because it was out of our budget, but it’s supposed to be amazing. There are many buses going around the country, as well as trains. You’ll find many options once you arrive in Istanbul, just check with your hotel! nice travel blog 🙂 im happy that you did enjoy visiting philippines. hope you will come back to see more funtastic islands here.. Guess what? Soon after reading this post, I searched budget flight to Myanmar, and I got a very reasonable price on September. The good thing is now we (Indonesian) do not need visa to enter Myanmar. I just knew it after completing ticket payment, haha. Unfortunately I cant stay longer due to my work. I will only have 5 full days for this trip. So my plan is exploring Yangoon first, as my flight will arrive here, and then go to Inle Lake. I may skip Bagan, since it seems too similar to Seamreap and other cities in Thailand I have visited and also due to time constrain. For the first visit, do you think Yangoon and Inle Lake worth enough? Your suggestion is very appreciated. Thank you. That’s great that you don’t need a visa! Yes, we both loved Yangon and Inle Lake, there is lots to see and do in both of those places. Bagan is beautiful as well, but if you’re not into seeing more temples, then skip it. There are also a lot of beautiful temples in Yangon. Rent a bicycle in Inle Lake and explore! Thank you for the kind words 🙂 Have a great day! Jealous of you guys. Wonderful! Keep going. Traveling has been my passion to. I am planning a 6 month trip next year with a friend. I have a few questions, but I’ll try not to take up too much time! In terms of luggage, I know you’ve said not to leave your packs in your rooms, but I noticed in a lot of your photos your packs aren’t there. Have you found a solution over your years of travels for luggage safety or are they just hiding out of sight of the photos? I know you say (and I’d like to) explore a lot without a guide or tour, (As a young female) I’m also wondering how you know which areas are probably not safe to venture into? And lastly, I think I read somewhere that you should should try and swap most of your money once you get into each country, can I ask where (are they banks/stalls)? And do these places only swap USD, I’m from Australia 🙂 Sorry for the overload of questions! Love your website, you’ve made the trip feel so much more exciting, you’re a very inspiring couple!!! We do keep our bags in our rooms when we go out for the day. We tend to lock them closed though when we’re out, if we have valuables in them. As for travelling off the beaten path. We always do some research beforehand and make sure that it’s safe to go where we are planning to go. Ask locals for the most up to date information, and better yet, go with a friend! When you get to countries, use your ATM debit card to withdraw money from the machines, that’s the best way to get local currency. If you have US dollars, you can exchange them at money change booths around the various cities you’re in. Just ask at your hotels/hostels, they’ll know! But we suggest using the debit card. I hope this helps 🙂 Happy travels. Its highly inspiring to read your tales. I thoroughly enjoy the site. I am Indian and been travelling in India on/off. However vacations are never extended as I am into a full-time job. Maybe one day, I will be able to do what you guys are doing. In case you have any experiences/tips as/for solo traveler, can you kindly share them? Have fun and keep posting your stories. As a solo traveller, you’ll want to make sure you keep an extra eye on your bags, especially if you plan to sleep in dorm rooms. You don’t need to be overly cautious, but just keep your valuables close. Thank you for a great blog! I am hoping to travel to Myanmar this year and would love to sail through the numerous Mergui Archipelago’s. I have done a little research but am having trouble finding an affordable sailing tour, they are all so expensive! Do you have any suggestions for tours or alternate ways to explore this area? Thank you for your message. Unfortunately, we haven’t sailed in that area before and I’m not sure how it could be done! Maybe check out LonelyPlanet’s Thorntree for answers, or perhaps on TripAdvisor’s forum? I am from Beijing China. in 2008 I began my travel abroad. I also enjoy Turkey, Iran, Mongolia and India. I recommend Georgia and Pakistan to you. I am preparing my Africa travel. So thank you for your information. I have retired and healthy enough. But always travel alone. It is very free. Wow, you have gone on many travels 🙂 Good for you! We also have been to Georgia, that’s a great country. We haven’t been to Pakistan, yet, but I’m sure we’ll find ourselves there one day. What a fantastic website. You guys are truly an inspiration. 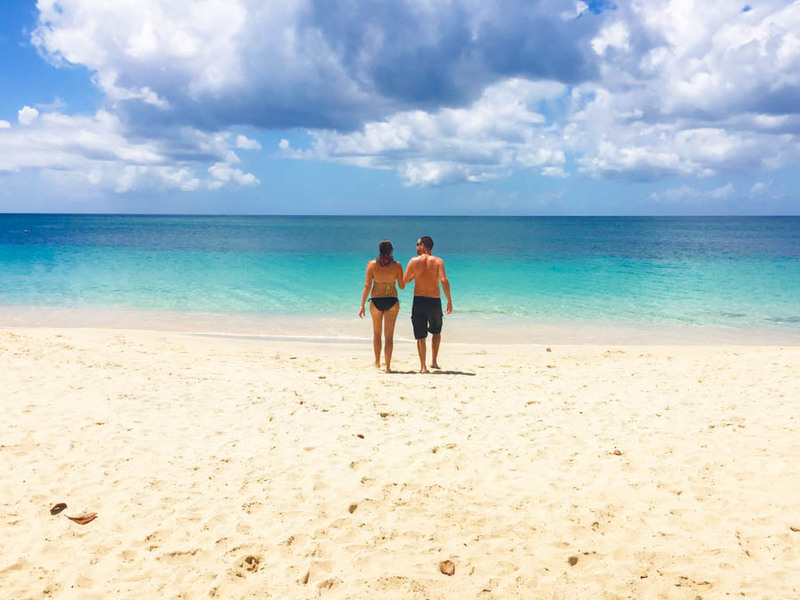 It’s very early days for us and our travel lifestyle dream but just reading this one post has given me the drive to know we can make it a reality. Hopefully in a few years time we will be well on our way. Thank you for inspiring others. We look forward to reading and learning a lot more from you both :). Wow, thank you for the kind words Gabrielle! We’re so happy to hear that we’ve inspired you, that’s the goal of our website 🙂 Just stick with the dream and soon it’ll become a reality. Happy travels and happy planning! So awesome (and random!) to hear from you 🙂 That’s so cool that you saw our article in Avenue today, thanks for coming to our site to check it out and say hi. I am also blogging but I travel to provinces of Philippines only since I cannot afford to go out yet. If it’s okay you can check out http://www.teachenarysjourney.wordpress.com. Thanks Adam, we’re so happy to hear that you feel inspired 🙂 We have been to the Philippines actually, we spent 1.5 months there, and loved it! LOVE your site! You are giving me so many ideas! You goats are amazing and inspiring ! Thank you for everything you shared with us . Thank you for your motivation in travelling. Finding a great roadmate to share all the feeling is the luckily things . Congratulation! 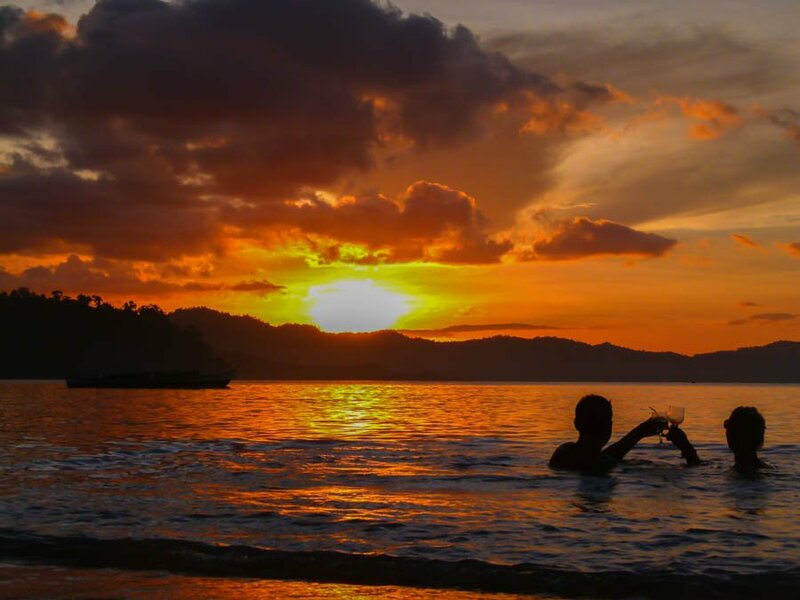 I have just read your article on travelling in The Philippines which I found via Pinterest, so glad I came across it! My boyfriend and I are hoping to go on our travels early 2017, we are 27 & 28 with no mortgage or children (which most of our friends have) and we just want to get out there & see the world! My boyfriend is actually half Filipino and we are hoping to spend a lot of time there and visit some of his family, we loved the tips and advice about it all!! Eventually we were hoping to work in Australia for a while as I am a Podiatrist & my boyfriend a Mechanic but reading about you guys is so inspiring, we’re probably never going to want to work again haha!! i’ll be following you guys on Instagram also and seeing what you’re up to next.. Thanks so much Paula! Enjoy your travels to the Philippines 🙂 It’s an amazing country and being able to visit with your boyfriend who is half Filipino will be amazing! You guys are living a way I would love to live. I am addicted to travel, however, I am still sitting in the office to make the incomes at most time so that I can have money and the limited annual leaves to go traveling. That is so great that you guys are doing what you guys love to do. keep it up, cheers. How I wish we will have that life! Not yet ready to gamble, but we have plans with my partner. We also work online in a digital marketing agency and very interested in following your paths. Every weekends we are on a roadtrip to travel within our island here in Philippines and hoping to have complete tour in the whole country then start with international travels! Came across your website in my quest for information on Cuba and instantly fell in deep like with the two of you! Love your travel attitude, and laid back, down to Earth style! Thanks for some really great information. I look forward to commenting on all of it on my return from my trip. Cheers to the both of you! Thank you so much Roseanne 🙂 I hope you have a great trip to Cuba! Wow, sounds like you’ve had some real incredible adventures….not everyone can say they’ve been stalked by a tiger. Thanks Roxanne 🙂 Our guide was certain there was a tiger in the bushes following us! Thanks for the inspiration, Goats 🙂 We’re an Aussie couple in our late-twenties who also felt there was more to life than 9-to-5 monotony. We leave on a one-way ticket to Southeast Asia in three weeks now; we’ll be travelling around the world for about two years. We’ve already sacrificed so much to get to this point, careers, friendships, families – but deep down it feels right. Who knows, maybe we can make travel our lifestyles, too? In the mean time, we’ll stay inspired. Amazing! Congratulations you guys 🙂 Here’s to an amazing two year journey! Thank you for sharing your great experiences with us. Well bravo to you both have let somewhat of a goat on the road lifestyle and now I’m older and thinking about Cuba but I haven’t been there 10 years and your articles look like they might be a few years old ? Do you update your info ? Hello fellow goatsDo you ever update Cuba ?! I may go in a month and speak Spanish but things have changed a lot since our USA policy has changed a bit. Awesome website and any new news would be greatly appreciated! Hi. A friend has just put me onto your page. Love it. I am going to read it thoroughly now and probably at least two or three more times. From a fellow avid fan of travelling and experiences. You have to come here. Khorramabad city in Iran. You will never regret. 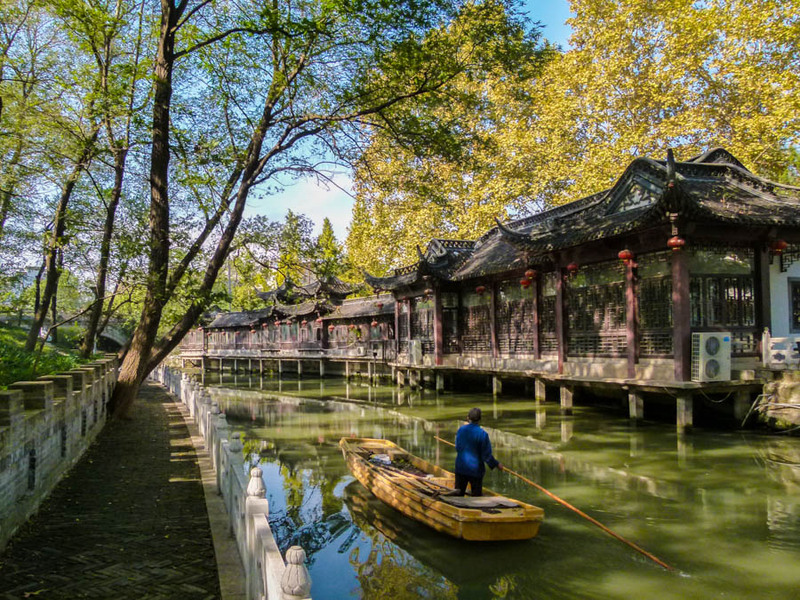 If you come in spring you will enjoy natural attracts and historical places both. Like Bisheh waterfall , Falakolaflak castle and very much more! You guys are great! I found your website just searching around at other travel blogs and you are by far my favorite. I have my own travel website and dreams and hope I can make them come true like you have! I also love that you travel as a couple and you both enjoy it. That is something very special and meaningful to share between the two of you! I’ve just finished reading you’re beautiful and useful notes.All of them were full of passion and positive energy. P.N:Thanks for the nice opinion about Iran ;). I am awed by you Goats! I will really try to reach you, email you…and yes, you set the fire for me, this old woman who believes its not too late to make a dream come come true..like you, i have ALWAYS WANTED TO TRAVEL THE WORLD..YES, you inspired me! Whooo hooo! We’re so happy to hear it 🙂 Happy travels to you Zayda! I like your story! We just got back from a 15 month world trip (SE Asia, New Zealand & South America) and it seems like impossible to get back to a “normal” job. It seems like you only started your travel blog at the end of your second trip, right? Isn’t it too difficult to write useful information about the destinations that you visited before that time, as things change so quickly and you probably didn’t start traveling with the purpose of giving all the little details to other travelers. You guys are really living the dream! So many interesting stories to tell. We’re hoping to achieve the same lifestyle and we can relate to your vision of a happy life. Keep traveling and keep writing! Your website is a great inspiration! Is getting visas a problem? How do you manage to get visas for different countries being a canadian citizen? Love reading this post and seeing you journey to where you are today. We are also Canadian (with 3 kids) and while I dream of full time travel, we have been trying to find a balance between travel and stability. 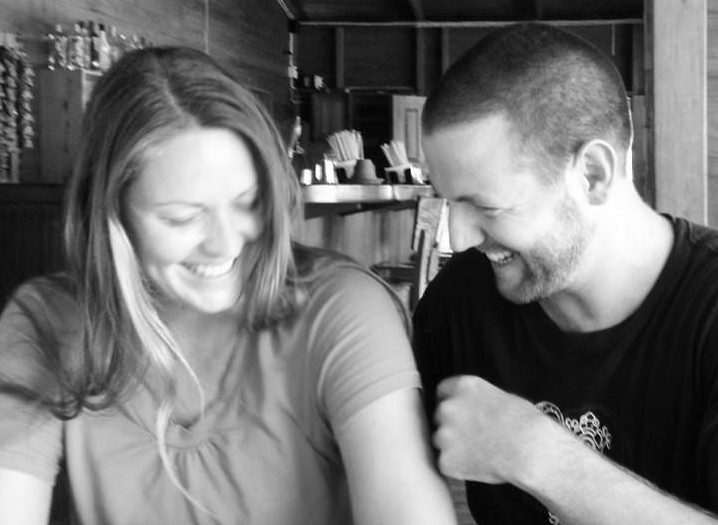 We have done a few 6 month long trips and lived overseas, but I admit I yearn for more. Great blog! Thanks for reading and commenting Dawn 6 month long trips are huge! Good for you guys, I’m sure the kids loved it! ONE WORD. AWESOME. YOU GUYS HAVE BECOME OUR INSPIRATION NOW. ME AND MY GF WERE WONDERING WHERE AND HOW TO START. AFTER GOING THRU YOU BLOG WE GOT THAT CONFIDENCE TO GO WITH THE WIND. EVERYDAY WE READ EACH STORY OF YOUR TRAVEL AND ADVENTURE WITH GREAT INTEREST. AMAZING BLOGS WITH BREATHTAKING PHOTOGRAPHS. THE WHOLE WEBPAGE IS SO NICELY CREATED THAT IT CREATES INTEREST IN EVERY INDIVIDUAL WHO IS DREAMING OF TRAVELLING. IT PROVIDES ALL INFORMATION A GLOBETROTTER NEEDS. KUDOS. 1. HOW DO YOU PLAN WHICH COUNTRY TO VISIT? 2. HOW DO YOU MANAGE VISA REQUIREMENTS OF SOME COUNTRIES? LIKE THEY ONLY GIVE TOURIST VISA, BUT YOU CANNOT WORK THERE AND THINGS LIKE THAT. DEFINITELY LOOKING FORWARD TO SEE YOU GOATS ON THE ROAD SOON. WE ARE WORKING ON SOME SPONSORS AT THE MOMENT, DONT KNOW HOW IT WORKS? WE ARE ALSO WINDING UP OUR PERSONAL AND OFFICIAL COMMITMENTS. ONCE DONE, WE ARE OFF. PLEASE KEEP IN TOUCH. WOULD LOVE TO SEE YOU GUYS SOON. IF YOU HAPPEN TO VISIT OMAN. PLEASE STAY WITH US. WE WILL BE MORE THAN HAPPY TO SHOW YOU AROUND. Thoroughly enjoyed reading about your travels and life style. I have travelled a lot to Europe, north, central and south Americas but am heading to Asia for the first time this winter. So excited! Thanks so much for your tips, am not done reading your website yet! We love your blog, as well as the animal connection. We run a website called Starling Safety. Our flock of ‘starlings’ are travellers who leave safety tips and advice for one another on locations around the world, especially ones where other travellers might be a little nervous of visiting (at first). We would love you to join our flock and take part by sharing tips and advice you might be able to offer on some of the places you have visited. If you do so, please also feel free to leave links to the relevant pages on your blog that contain relevant info. Otherwise, we hope you find the website useful in planning any future trips! Loved reading your story. We’ve rented out our houses in the UK to provide an income. Selling our current motorhome and buying a new one then heading off to Europe in September. Inspiring! Is all I can say! We are about to embark on our voyage and will look forward to learning from you to! And sharing! Don’t cease the discovery! I love your lifestyle and philosophy, you can’t go wrong doing the things you do ! (but of course you already know that) I did similar a while back, heading off overseas to seek adventure and fortune, got the adventure and, like you perhaps, didn’t make a fortune but earned enough to save and have a comfortable life. You’re right by the way, ‘a nomal lifestyle back home’ can never be on the cards, and why should it ? I’ve tried that and it really doesn’t work, we (partner and I) now live permanently in Hong Kong – we love Asia ! Happy travels !! Thank you so much Have a great day! I’ve done a fair bit of traveling in my time (im 44) but it always amazes me how much there is to see and do. would love to cross paths some day. so much fun to read your personal story. I have found your blog recently and been reading it since afternoon today. Such a delight! Love Dariece’s eyes and smile. Love your website, you have nailed design and content both. Wish you both happiness in whatever you do. Thank you so much for your kind words – you’ve made my day with the comment about my eyes and smile! 😉 We really appreciate the feedback about our website as well. Have a great day and happy travels! You guys are really amazing. I will definitely contact you when I will be ready for traveling. There is so much to know from you guys. Thanks for your blog. Love from India. will help a lot.have a great time guys. will like to learn more from your experiences . hello, guys, congratulations for your blog. Is Ivet, from El Patio Andalú of Cienfuegos, Cuba. We have now a new email, so we send you. Hope you are Ok and comeback soon for Cuba!! I sent you a photograph of Goats on the Road in Myanmar and I was wondering if that photograph is on your website ?? China and India both offer 10 year visas to Americans…I believe Canadians as well. The downside is you have to leave China every 2 months and India every 6 months. Currently in Harbin then off to Hohhot and finally to Kashgar. Visas are certainly something to consider since borders are becoming more and more strict. First thing. Thanks for the site and discussion about all the steps you guys took to gain independence to hit the road and then once hitting the road to stay there. My story is a bit different but the outcome is good. I spent almost 10 years planning, dreaming, wanting to get out of IT. I had bills, obligations, kids, and had to have jobs both full time and contracting to maintain not just the lifestyle but to take care of the debt. Finally, in 2017 I paid of a huge debt which stemmed from my own stupidity around credit cards and was left with only a used car to pay off. Then in Feb of 2018, I retired. Since I’m an old retired guy taking social security and some savings, I designed a different lifestyle for myself. What I wanted was to vagabond and hobo around Southeast Asia and particularly Vietnam, Cambodia, Laos, Thailand but also get to Malaysia, Singapore, India, etc. But my goal was to live in the places for months at a time and not rush. I am just finishing up three months in Hanoi and tomorrow fly to Hong Kong on a visa run. Then back to Vietnam for another three months in south Vietnam and the central highlands. I will cross over to Cambodia in September and get a retirement visa there which lets me stay for a year. There are places and places in Cambodia I will wander around with my camera and live. I realized I needed a home base so will get a cheap apartment in Phnom Penh and then do month long or longer excursions to various places. The method for me has been different since I’m not a 30 something. I move slower but I move :-). Now I have my dream of life in this slow paced hobo lifestyle. Vagabonding to whatever place I want to stay and then staying for a year if I want. Dreams do come true. Sometimes you just have to wait a bit. Pingback: Voyager, un privilège ? Hi goats on the road, me and my partner Andy are impressed by the lifestyle you life and we would like to try a similar model like you. But where to start? Maybe you can help us finding the next steps (building up a online-business, reduce the cost of living, etc.). Actually, we live in Switzerland and Germany and we can imagine to live in Grenada too (we visited this country in may this year). It would be great to have a chat with you. Is this possible? Hi. I came across your video in Grenada. I am a 27 year old man. I was a medical student at St. George’s University in Grenada. 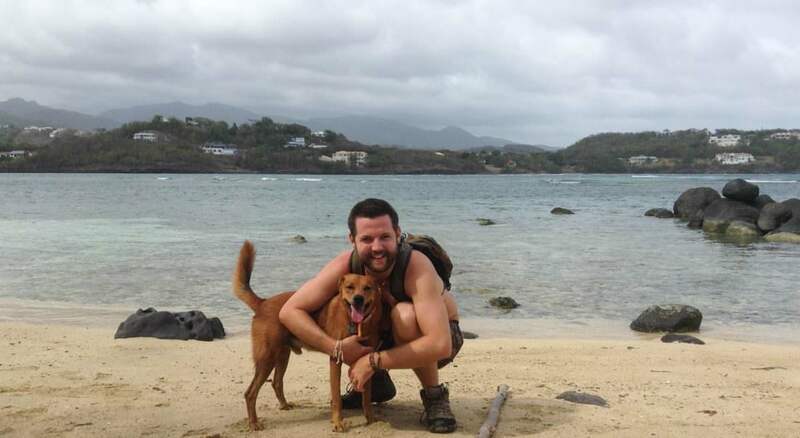 I spent the years of 2013 to 2014 in Grenada. This moment, I decided to look back at Grand Anse Beach because I miss it, and one reason I miss it is because I graduated as a physician. It was a very tough journey for me. Your video in Grand Anse in Grenada was well done, and it looked very nice. It truly brings back memories of when I was in Grenada. I decided to explore your website further because it was a well done video. And I learned that you travel for a living. I also love traveling but I have not had the chance to do so because I have been too busy with other work. My next vacation spot by the way is New Zealand! I look forward to discussing more about traveling once things get settled, and I hope to hear back soon. You really give wonderful examples of how you made it work. How you stayed curious and found different ways to support yourself on the road. I think the way you have laid out your timeline is very helpful to people who are thinking of creating this lifestyle for themselves. It doesn’t happen overnight and you don’t need all the answers when you start. Great job. You are definitely living the life I have always wanted. However, I think I will have to do it in my ‘next’ life. I’m in my mid 50’s now and my partner, (two women), in their 50’s may have, a) waited too long to be adventure seekers, b) not accepted (gays), [worldwide] or perhaps safe for two women to travel together. I do love your site and will be in Grenada (first time) this April 2019. Can not wait! We should hook up for a beer? Anyway, keep living the life of my dreams and safe journeys always .. from a fellow Cannuck! I came across your site when I was researching a question regarding Iranian customs. I would sure like to ask you in a private email. Your site is incredible and I envy your lifestyle. When I was in my twenties I packed up and moved to St. Thomas for 4 years. I had an incredible life there and had more fun out of a 500 sf. apartment with the Carribean and the Atlantic, (Current Cut) view of St. John from St. Thomas. I think your site has reignited the travel bug in me. Nice couple and Nice blog. Actually, your name is a little bit funny for me! good luck where ever you go and have fun. Hi came across your site when I was googling mexico. My husband and I from New Zealand have bought a one way ticket to merida yesterday we leave Saturday. So was keen to see your Mexico tips but then when I watched your video also keen to learn about earning an income when you are on the road. We have just come back from a 3 month African safari. I was used to travelling a lot in my 30s every six weeks but we now have a business that allows us to be free quite a lot of the time. Keen to learn more. You guys are so inspiring. I just stumbled on to your blog while trying to plan my honeymoon to Greece, and the videos, the recommendations, everything are so helpful. Although the nomadic lifestyle isn’t for me and my husband, I love how you lay it out for people who want to earn money and then travel. Thank you so much for taking the time to record these videos and post them. There are so many islands in Greece and everything is so spread out, so we weren’t sure how to make ten days there work. You’ve definitely given us good ideas. This is what my wife and I have been aiming to do for a number of years. Our difference from you is our age, 70 and 68. We are every bit adventurers, hence our website. We both feel very dissatisfied with what we are doing now and want to get out and live our lives to the fullest. Our idea is to purchase a small travel trailer which would give us a home in the US and be easily and cheaply put into storage when we chose to see the rest of the world. We would appreciate any help and hints that will get us on our way. Please take a look at our website and tell us what you think.